I live in the beautiful mountains of Pennsylvania with my husband and kids, where I enjoy reading, gardening very badly, taking quirky Instagram photos, and spending a lot of time creating imaginary worlds and characters. I love hedgehogs, the woods, Irish cheese, and tea! I'm glad I'm not the only one who struggles with gardening! What prompted you to start writing? Are you one of those authors who knew you were meant to write since childhood, or did it come as a discovery later in life? I’ve always had a love for books and writing since childhood, but I didn’t think of it as anything but a hobby until I was over thirty. Now that my kids are all older and more self-sufficient, I have the time to write and do the creative daydreaming making up fiction requires. We're all about exploring new worlds here at Lands Uncharted—if you could choose one place to visit, real or fictional, where would you go? I’d love to visit the Elven realm of Lothlorien from The Lord of the Rings. Enchanted forest, soaring tree houses, beautiful Elves…what’s not to like? It does sound like an amazing place! Do you have any go-to foods or beverages while writing? Lots of chocolate! I partially (and gratefully) blame this on my friend Jenny—who sends me frequent author care packages containing special chocolate bars, sweet notes of encouragement, and other delightful niceties. Mmm, I'm rather fond of chocolate myself :) What advice would you share with an aspiring author? The truth is you’re probably going to write a lot of garbage before you’re ready for publication—and it’s okay! Keep practicing, get into a good critique group, and be sure to read studiously in your chosen genre and beyond. Most of all, don’t give up! No visit to Lands Uncharted is complete without Top 3s! Give us a Top 3 list, in the category of your choice. Great choices, the fantasy genre has so many fun ways to travel! Your debut novel, The Mermaid’s Sister, has won multiple awards and sold over 100,000 copies! Congratulations!! Plus it’s just an amazing book :) Can you share some of your writing / publishing journey that led up to this point? Well, after taking a correspondence course on writing during my stay-at-home-mom years, I did my first “professional” writing as a reporter for a local newspaper. It wasn’t my favorite kind of writing, but it was good experience and helped me gain confidence. Then, in 2008, I signed up for National Novel Writing Month, an online event in which you attempt to write a 50,000-word novel in 30 days, mainly to see if I could actually do it. I succeeded (although the book was BAD), and I’ve continued to do NaNoWriMo every year since. 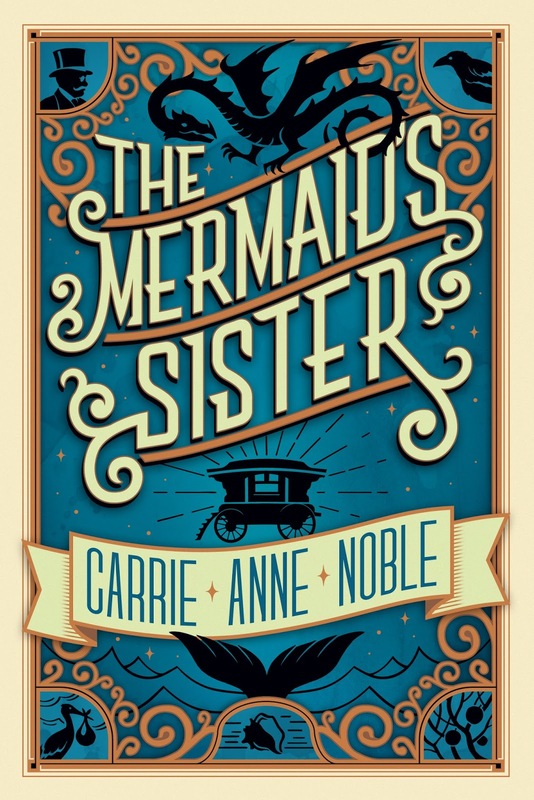 The Mermaid’s Sister began as my 2012 NaNoWriMo novel. After revisions, I submitted it to the 2014 Amazon Breakthrough Novel Award contest, and won the Young Adult category. The prize was a publishing contract with Skyscape. 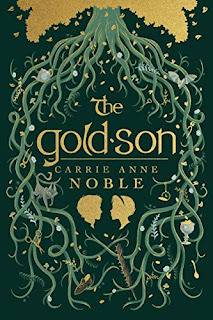 The Mermaid’s Sister came out in 2015, and the same publisher bought The Gold-Son in 2016. And here we are! It sounds simple, but it was a lot of hard work. I bet! 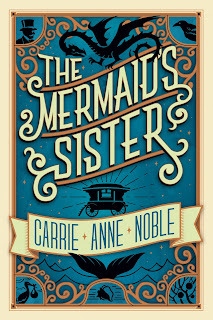 The Mermaid’s Sister follows Clara as she comes to terms with her sister’s identity as a mermaid and searches for her own place in the world. What do you hope readers take away from her story? I hope Clara helps readers realize that they are stronger than they know, and that on the other side of tragedy, they will find joy again. You have a new release coming out on June 20th! (I can’t wait!!!) What inspired you to write The Gold-Son? One morning, I looked out the window and saw the bearded gentleman who strolls past my house every day with his walking stick and faithful dog. At that moment, I asked myself, What if he’s really a leprechaun looking for a place to bury his gold? After that, I started planning a leprechaun-themed novel as my National Novel Writing Month project. I thought it would be particularly fun to have a gold-addicted leprechaun work in a shopping mall at a cash-for-gold stand, and even more fun to make him fall for the human girl selling lotion next door. So, you’ve already covered mermaids and Leprechauns :) Are there any other mythical creatures you’d like to write about in future books? My novel-in-progress contains elements of the Selkie legend (Selkies are fairy seals who become humans on land). Beyond that, maybe I’ll write about tooth fairies. They do such an important job and they don’t get much recognition! Ooh, I'm intrigued! Please share a favorite line or passage from The Gold-Son with us. "The tree was neither oak nor ash, neither beech nor birch, nor any other tree named by humankind. Its trunk was wider than the village church, and its highest branches tangled with clouds. It blossomed for three days every spring, or so it was said, for a fragrance like honey and cake drifted into the town at that time, making stomachs rumble with longing that no mortal food could quench." 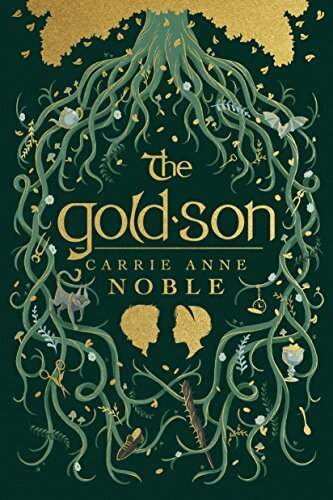 I included The Gold-Son in my Top 3 Most Anticipated Books of the Second Half of 2017 post last week, and this is why! Such gorgeous writing. It's available for pre-order here. 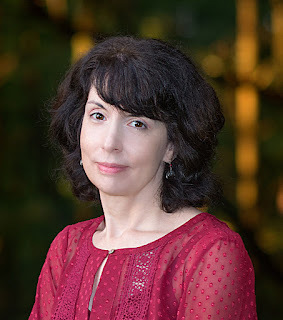 And you can connect with Carrie Anne Noble on Facebook, Twitter, Instagram, and Pinterest. Thank you so much for visiting us today, Carrie! Congratulations on your upcoming new release!! Thanks for visiting, Carrie. Your stories sound like fun, and I love the covers! I do have amazing covers! Happy reading, Elizabeth!